In a courageous and principled initiative, Dr. Hagop Kantarjian (MD Anderson), Dr. Richard Silver (Weill-Cornell) and Dr. Ayalew Tefferi (The Mayo Clinic) are among the 100+ hematologists who published their deep concern over the high cost of blood cancer drugs. The high price of Jakafi has led Nations and medical insurers to decline coverage of the drug…and has placed the only approved medicine to relieve myelofibrosis symptoms out of reach for many patients. 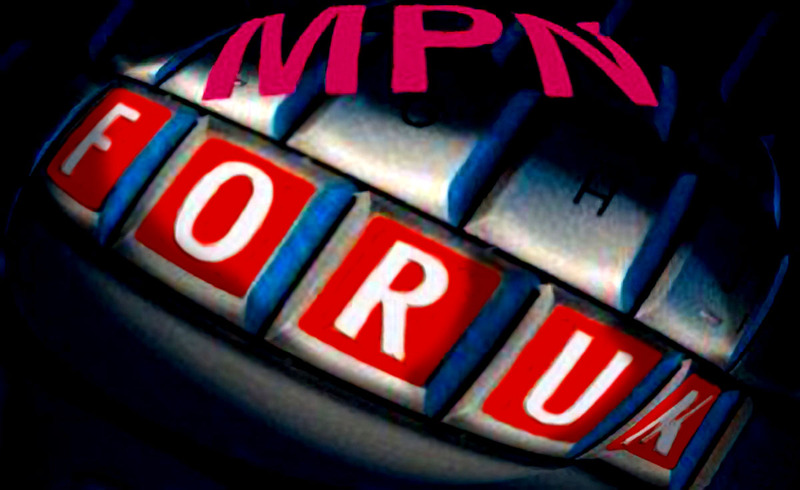 Now MPN patients and caregivers are adding their voices in an open letter, appealing to Dr. Paul Friedman to help lower the price of Jakafi to cost-effective levels. This is our chance to step up and be heard. Even if we ourselves do not have MF or currently need Jakafi, thousands of our friends worldwide do. The core issue is fair pricing for a life-saving drug that so many of us, through clinical trial, helped to bring to market. The letter includes an interactive feature. At the end of the letter there is a space for your comment. 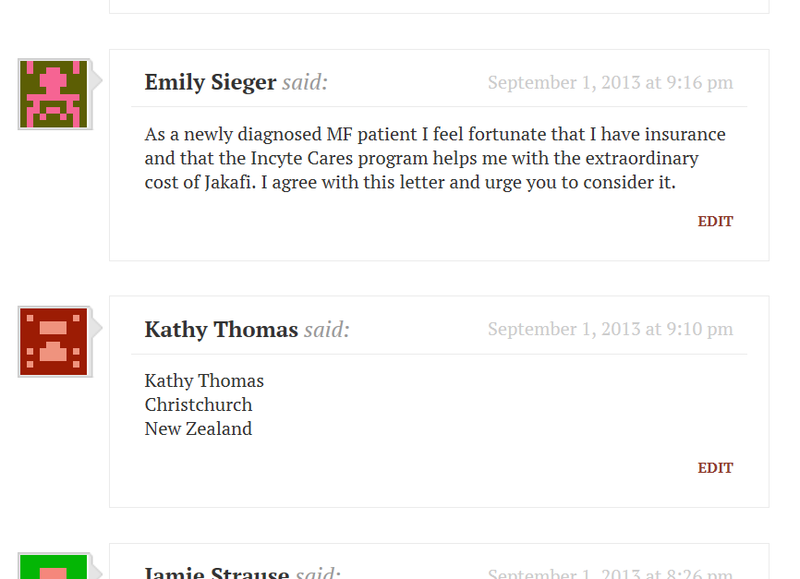 You can simply “sign” the letter by providing your name and location (City, State, Nation) in the Comment Box. You can also enter your own comment. Scroll down past the end of the letter and current COMMENTs and the yellow bar that reads “Leave a Reply, ” just like the bar at the end of this Editorial notice. 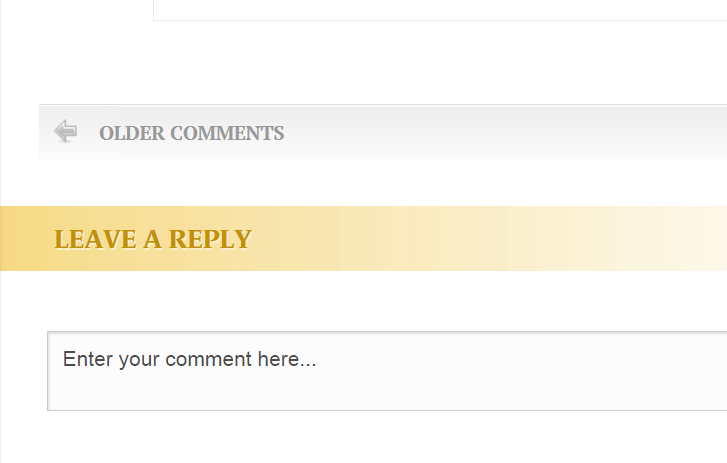 Once you start typing, the comment box will open to permit you to “sign” the letter or Post your comment. To vote or leave comments please go to the Letter here. Thank you for standing with MPN patients and caregivers and our hematologists. We acknowledge Incyte’s enormous contributions to MPN treatment and urge the company to modify a pricing policy endangering patient health. PLEASE, PLEASE, lower the price. We really need these drugs to survive! We truly appreciate you making them for us but can’t you lower the cost some? i join my fellow sufferers in a plea to lower costs of high priced medications that preserve and extend a more comfortable, “normal: lifestyle, and allows us to survive longer.